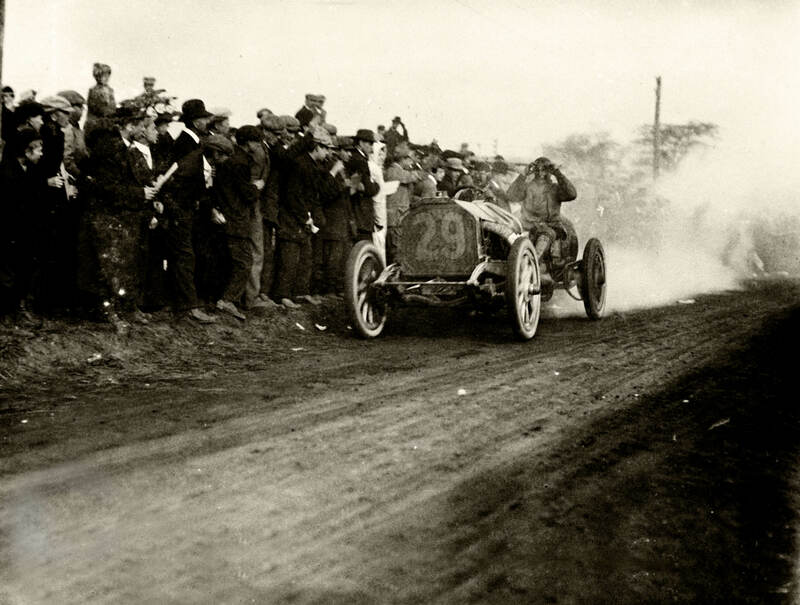 The fourth set of 1910 Vanderbilt Cup Race photos from the Hayden Allen Collection focuses on a stretch of the course that connected Ellison Road with the Motor Parkway just west of Merrick Avenue. Photos courtesy of Walter Gosden. Due to the presence of the west section of Roosevelt Field (the airport not the shopping center), Ellison Road ended around 1,000 feet south of Old Country Road in Westbury. 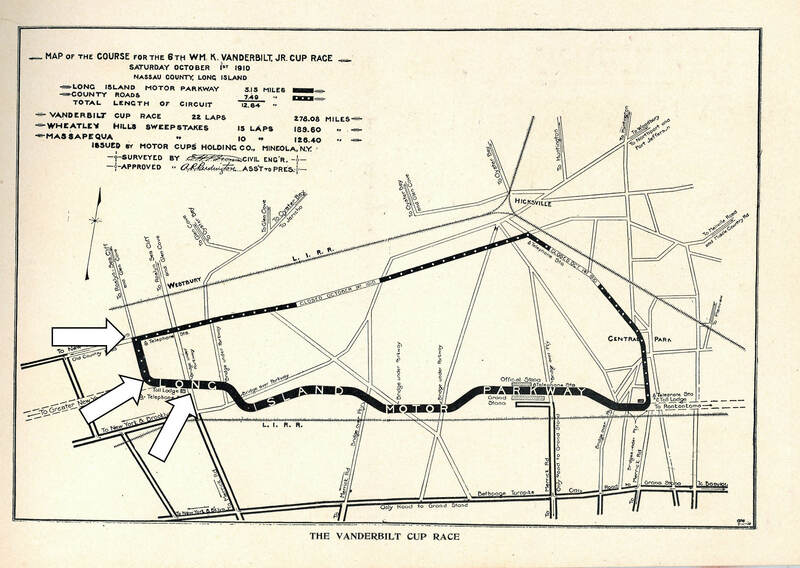 For the Vanderbilt Cup Races of 1908 to 1910, a temporary connecting road was built through Roosevelt Field. As seen above, the #7 Benz driven by Eddie Hearne was making good speed on this 1/4-mile dirt section during the 1910 Vanderbilt Cup Race. 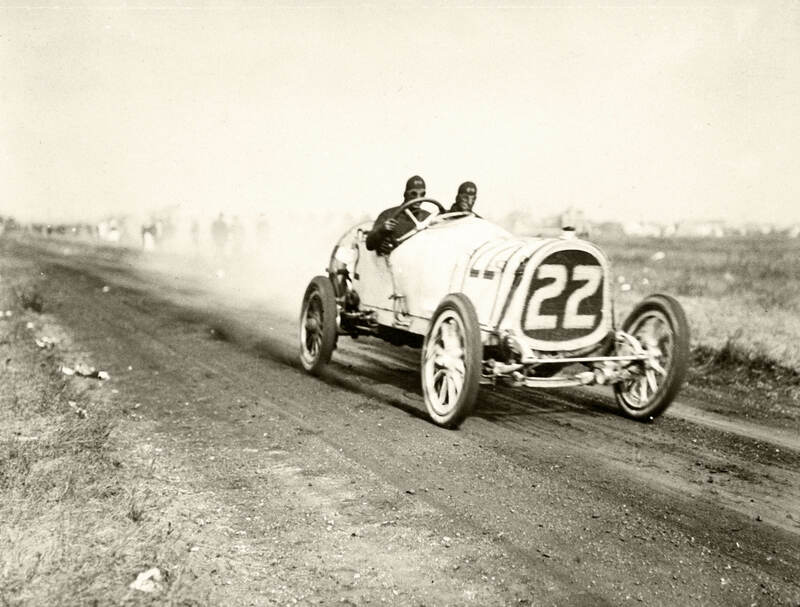 In this photo, the #29 Marquette Buick is being driven by Louis Chevrolet (left)- whose name would become one of the most famous brands in the automobile industry.Unfortunately, Chevrolet would later crash into a spectator's touring car, killing his mechanician Charles Miller (right). This photo shows the #22 Pope-Hartford driven by veteran Bert Dingley on this section of the course, close to the spot where Charles Lindbergh would take off 17 years later in the Spirit of St.Louis.